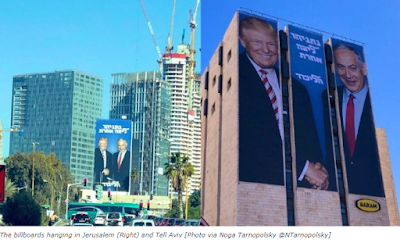 Until now, we did not know who the woman was, but it is now being reported that she is "Prof. Pnina Peri, wife of Yoram Peri, a professor of sociology who served as president of the New Israel Fund between 1999-2001." She was on her way back to Maryland where she currently lives and teaches about pluralism and multiculturalism. How ironic is that?! Can you imagine her reaction if it had been an Arab or a Christian and another Jew had accosted them? Maryland can keep her! She's right where she belongs! She made a fool of herself - she acted like a nut! when will Israel classify the New Israel Fund as a terrorist supporting organization? Just another self hating Jew. Unfortunately her education was biased or at least not complete. She and others need miracles to awaken their Jewish spark. We need to pray for them. No, do not make a mistake seeing her as a "self hating jew" ! No, she and all her ilk are absolutely not Jewish, but rather she is a typical ugly face of the Erev Rav, belonging to so called Israeli "elite". 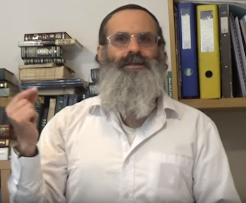 This is the ugly face of unholy husk, Klipa of Erev Rav which has been attaching itself to the Holy People of Israel, since the times of Moshe Rabbenu accepting them as "converts" to join the Israel in their Exit from Egypt. And, according to the Holy Zohar, it is this Erev Rav, which has been causing and will be causing all the terrible sufferings for the Jewish People since the Exit from Egypt and until the Days of Mashiach Ben David, when Hashem will finally and completely destroy the evil Erev Rav from the People of Israel, according to the prophecy of Zohar. And then these ugly psychopatic Torah-hating faces of Erev Rav will surely stop to laugh. There will be nothing to laugh for them at the time of their ultimate perish! At that time there will be fulfilled, that "Hashem will be the ONE and His Name will the the ONE" - "BaYom haHu Yehje HASHEM Ehad uShemo Ehad" ! Because according to the Holy Zohar HASHEM's Name is quasi "not complete" all the time the Erev Rav is attached to the People of Israel and all the time the Prophecy of Habaquq (in chapter 1) is fulfilled, that "Rasha Haktir et haTzadik" - all the time, that the evil people are the heads, ruling over the Righteous Tzhadikim. Yaakov is right. Just because organizations have the words, Israel and/or Jewish in its name, doesn't mean they aren't soneh Yisrael. These groups work for our enemies and are our enemies. They must be exposed to all and called what they are, as Yaakov above says. Are the Radical Leftist Jews that hate Israel practicing Avodah Zarah and are not Jews just like a Jew practicing Catholicism is not Jewish? By supporting the BDS movement and Islamic terrorist such as Hamas these people are now a security threat to Jews and the State of Israel. Just see: https://canarymission.org/ for more information.